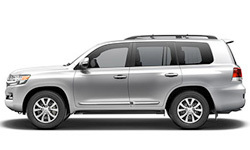 The 2018 Toyota Land Cruiser from West Kendall Toyota in Miami, FL – serving Coral Gables, Doral, Hialeah, Hollywood, Homestead, The Hammocks, Palmetto Bay, Pinecrest, Kendall, and West Kendall – boasts a timeless design and tough personality. 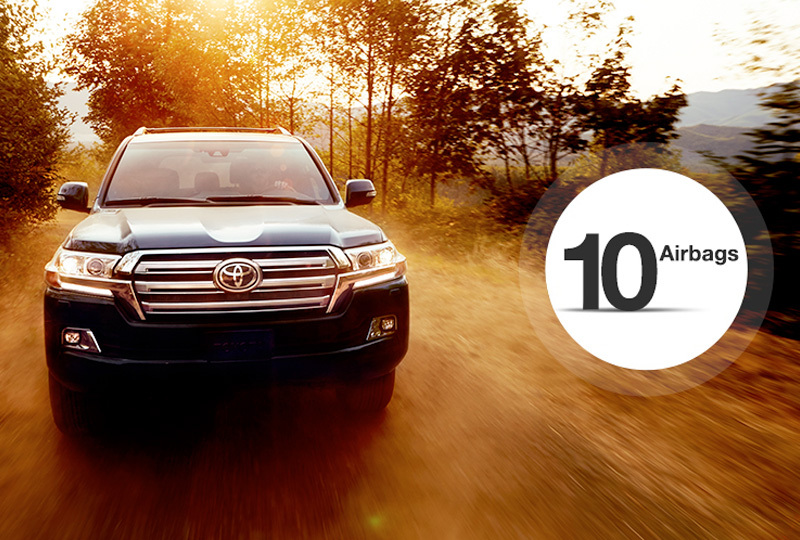 Legendary capability gives you the freedom to explore your world without fear. Confidently tackle tough terrain with the 381-horsepower, 5.7L V8 engine and 4x4 capabilities with the kinetic dynamic suspension. Fit people and cargo with ease using the standard 8-passenger capacity and folding third- and second-row seating. Heated and ventilated, leather-trimmed front seats offer incredible comfort so you can enjoy your ride in any climate. Multi-terrain select and crawl control are two awesome capability features that let you maximize your traction for every surface. 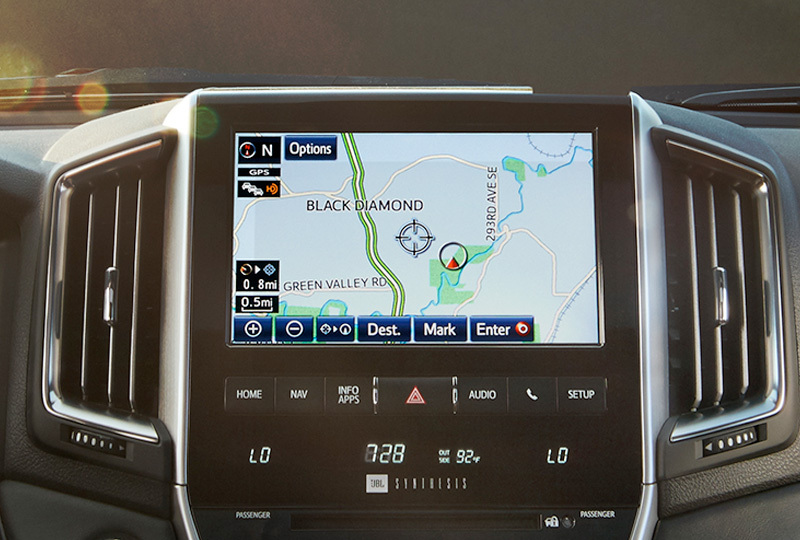 Integrated navigation and audio features entertain you while you speed down dirt roads and forest highways. It’s a great day to buy a new Toyota! We have a great lineup of 2018 models and great financing options to fit your budget. Schedule your test drive today by calling 786-574-2430 or visit the showroom located at 13800 SW 137th Avenue, Miami, Florida. We’ll send you home in the 2018 Toyota Land Cruiser you’ve always wanted! This is the ultimate expression of luxury and capability. 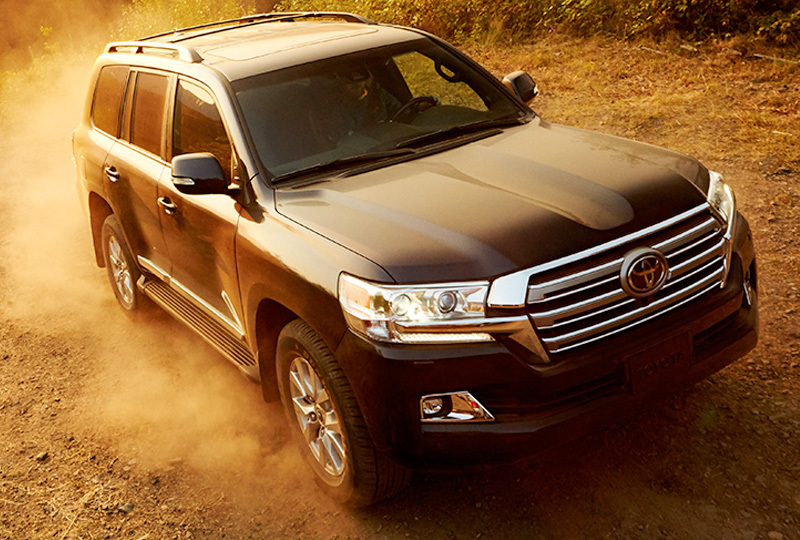 The 2018 Land Cruiser makes an impression wherever it goes with its legendary off-road prowess and bold exterior details. 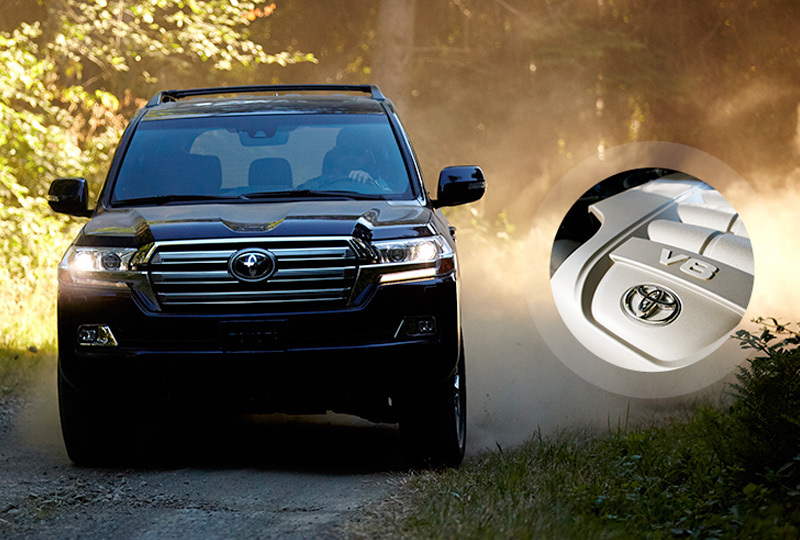 A stylish front end, LED lighting and chrome side moldings with the Land Cruiser logo help give this SUV an unmistakable presence. So whether you’re traversing uncharted terrain or enjoying a night on the town, you can rest assured that you’ll always arrive in style. Land Cruiser's Entune™ Premium JBL® Audio with Integrated Navigation and App Suite gives you a high-end entertainment experience. Its high-resolution 9-in. touch-screen display lets you access the integrated navigation system, your music and more. SiriusXM® Satellite Radio compatibility and iPod connectivity means you’ll always have the perfect soundtrack to your adventure. And with 14 JBL Synthesis® speakers, including a subwoofer and amplifier, it will all sound amazing too.